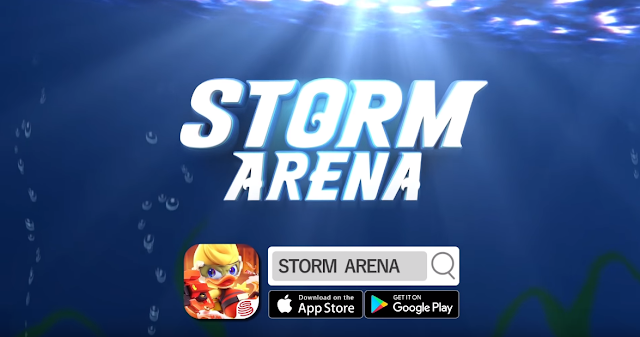 NetEase, Inc. (NASDAQ: NTES) has today announced the beta launch of its upcoming 3v3 MOBA mobile game, Storm Arena. The beach-themed multiplayer game is available today starting at 6pm PST for Android players in Canada, Mexico, and Brazil, and available on iOS in Canada. Surf, swim and float your way to victory with cute, cartoony characters such as Dashley the Duck and the evil Dr. William as they battle for victory in four different aquatic battle arenas and various battle modes. Join either the villains led by Dr. William who seek to exploit natural resources for profit, or Dashley the Duck and his marine friends who are trying to protect the environment in this competitive MOBA mobile game. In development since 2015, Storm Arena aims provide bring fast-paced, playful MOBA gameplay for gamers on the go. Bite-Sized Battles: Fast-paced three minute battles allow players to dive into the world of Storm Arena whether they’re on the bus, on a break, or marathoning. Storm Arena helps provide quick but exciting games that are still deep, strategic experiences. Players can choose from over 12 characters, a variety of weapons and skills, and multiple arena locations - meaning there is a great diversity of gameplay and strategies. Innovative Game Modes: After the PvE tutorial, players can try out four different PvP game modes: Bounty Hunter, Turf War, Goal Attack and Pieces of Eight, where eight players compete for the ultimate prize as the last player standing. Whether you’re new to the world of gaming or a seasoned pro, you’re sure to find a mode that suits your playstyle. Adorable Animations: Characters, weapons, and settings are all stylized as adorable animations of aquatic animals and environments that help make Storm Arena a charming and imaginative world in which to play. Players can look forward to scenes such as ice sheets, hot pot, hot springs and more.